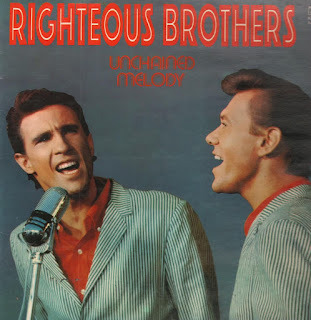 Here are 3 numbers by the famous Righteous Brothers. 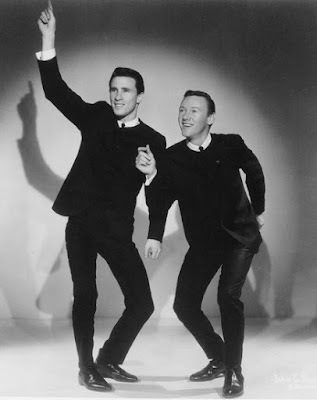 The Righteous Brothers were the musical duo of Bobby Hatfield and Bill Medley. 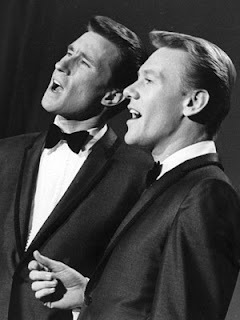 They began performing together in 1962 in the Los Angeles area as part of a five-member group called The Paramours, but adopted the name The Righteous Brothers when they embarked on their recording career as a duo. 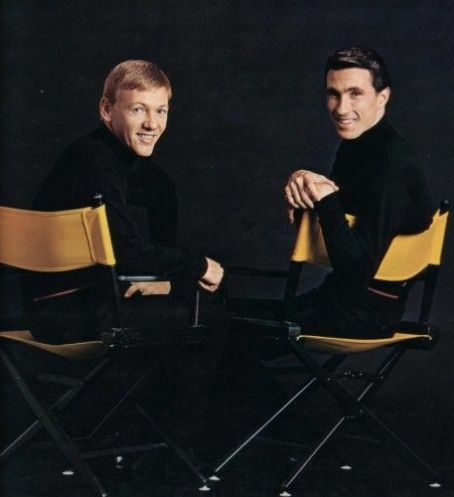 They recorded from 1963 through 1975 and continued to perform until Hatfield's death in 2003. Their emotive vocal style is sometimes dubbed "blue-eyed soul". 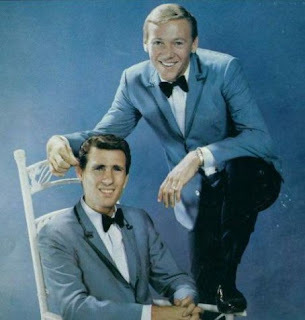 Hatfield and Medley have contrasting vocal range that helped them create a distinctive sound as a duet, but also strong vocal talent individually that allowed them to perform as soloists. 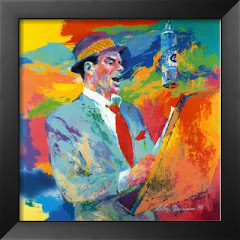 Medley sang the low parts with his bass-baritone voice, with Hatfield taking the higher register vocals with his countertenor voice. 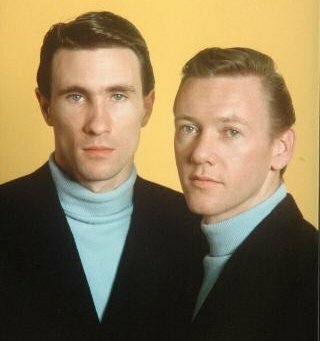 They had their first hit with "You've Lost That Lovin' Feelin'", produced by Phil Spector and often considered one of his finest works. 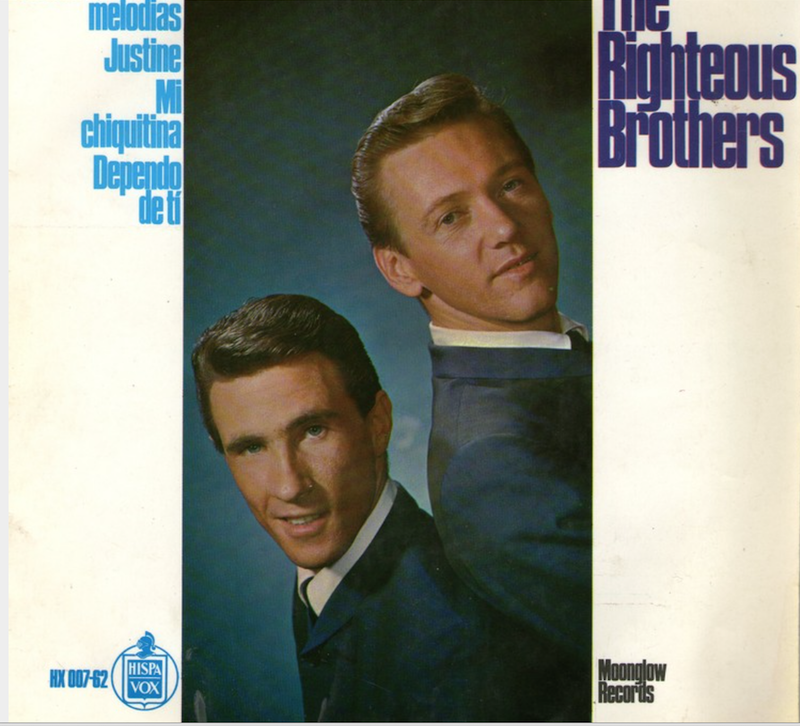 Other notable hits include "Ebb Tide", "Soul and Inspiration", "Rock and Roll Heaven", and in particular, "Unchained Melody". 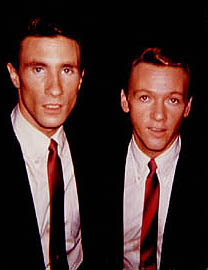 Both Hatfield and Medley also had for a time their own solo careers. According to Medley, they adopted the name The Righteous Brothers for the duo because black marines from the El Toro Marine base started calling them "righteous brothers". At the end of a performance, a black U.S. Marine in the audience would shout, "That was righteous, brothers! 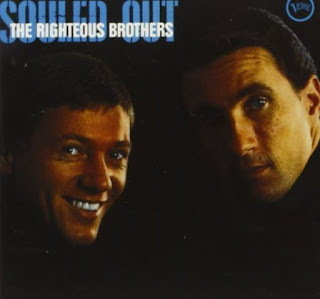 ", and would greet them with "Hey righteous brothers, how you doin'?" on meeting them. In August and September 1964, they opened for The Beatles in their first U.S. Tour. In October and November 1964, they opened for The Rolling Stones in their American tour. In 1965, they had a couple of guest appearances in films, A Swingin' Summer and Beach Ball. They also became the first Rock & Roll act to play the Strip in Las Vegas (at The Sands). In 1990, the original recording of "Unchained Melody" was featured in the popular feature film Ghost starring Patrick Swayze and Demi Moore. It triggered an avalanche of requests to Top 40 radio by fans who had seen the movie to play the 1965 Righteous Brothers' recording. This motivated Polygram (who now owned the Verve/MGM label archives) to re-release the song to Top 40 radio where it became a major hit for a second time, and reached No. 13 on the Hot 100 in 1990. It also become their second No. 1 in the UK. The duo quickly re-recorded another version of "Unchained Melody" for Curb Records. 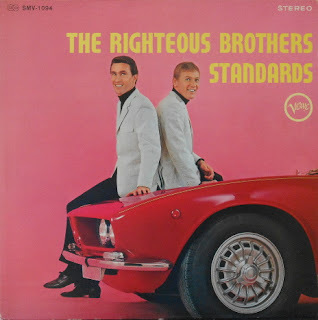 Both the reissued and the re-recorded songs charted at the same times for several weeks, and The Righteous Brothers made history as the first act to have two versions of the same songs in the Top 20 at the same time. The re-recorded "Unchained Melody" hit No. 19 on the Hot 100 and was certified Platinum by the Recording Industry Association of America (RIAA). They toured extensively all through the 1990s and early 2000s, and they also performed for about 12 weeks a year in Las Vegas. 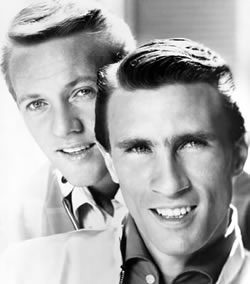 The Righteous Brothers were nominated twice for the Grammy. In 1965, their recording of "You've Lost That Lovin' Feelin'" was nominated in the Best Rock And Roll Recording category at the 7th Annual Grammy Awards. 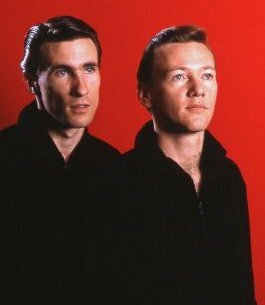 Their re-recording of "Unchained Melody" was nominated for Best Pop Vocal Performance by a Duo or Group at the 1991 Grammy. 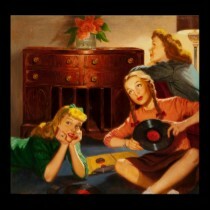 They were also awarded the Best New Singing Group in the Billboard Disc Jockey Poll in 1965. 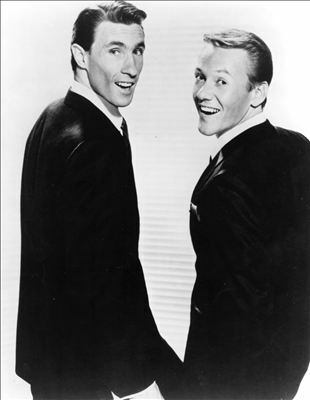 The Righteous Brothers were inducted into the Rock and Roll Hall of Fame on March 10, 2003. 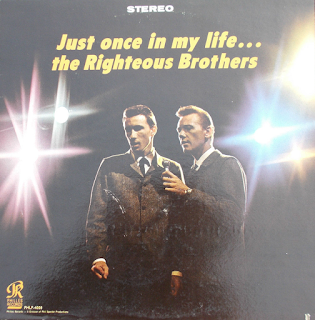 Enjoy the eternal charm of the Righteous Brothers!